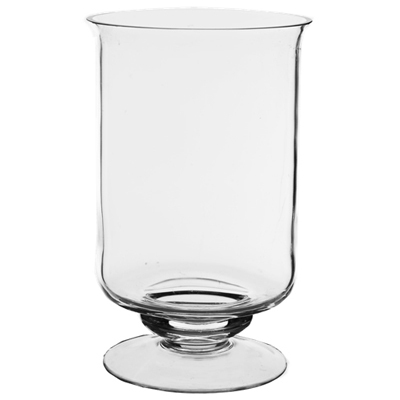 Contemporary Footed Hurricane Candle Holder, suitable for Pillar candle for your wedding centerpiece. Dimension: High-8", Open Diameter-5", Base Diameter-4.5". Quantity: Pack of 12pcs, 12pcs for $85.20.